Many of us have such a complicated relationship with our curls. I love my curls but hate how difficult it can be to take care of them while living an active lifestyle. There are so many options for putting my hair back or tying it up but many of them pretty much destroy my chances at second and third day hair. I’m always on the search for new and better alternatives to scrunchies, spiral hair ties, clips and hair pins. While these products work decently to hold my hair up and out of my face, they don’t really add anything to my over style. Plus, they pretty much destroy my curl pattern making refresh so annoying. Sometimes a regular hair tie does the trick but honestly can be not so fashionable. I don’t even want to remember all the times that I ripped a chunk of hair out trying to get a scrunchie out of my hair after the gym! So when Saya Designs contacted me asked us to try their hair slide, the Moon Flower (https://sayadesigns.com/moonflower-hair-slide), we jumped at the chance. Sana Designs sent me one of their Recycled Teak Root hair slides. First of all, the story behind their products is a cool one – they use reclaimed and sustainable tree roots from Bali. But the most important thing is that the hair slide is amazing. This is not an advertisement by any means. This Moon Flower is a game changer. No hair breakage and my curls were left almost completely intact. Read more about Put Your Hair Up! Hope your curls are poppin' and your day is beautiful! Today we're going to talk a bit about dew point. Now some of you are saying "Yes! Finally some information on dew point". And some of you are saying "What?!?!? Another thing to worry about on this Curly Hair Journey of ours!". As we get better and better at dialing in healthy hair, we discover more and more factors that can play a role in getting good hair days more often than not. Now, what in the world is the dew point and how do we navigate this new territory? To put it simply, the dew point is the temperature at which water droplets (dew) start to form from the moisture in the air. But wait - there's more! Atmospheric pressure and humidity also play a role in this, and it can get a little complicated. But we got this far in the Curly Goal Method by being hair scientists, why stop now? Why should we care about the dew point, you ask? Well, many of us use products that contain humectants, like glycerin, that absorb or retain moisture. Sometimes this is a great thing, and sometimes it can lead to the frizz of a lifetime. Many times, we use the exact same products and techniques but get wildy different results from day to day. We blame it on the humidity but dew point is often the culprit. In ideal conditions, glycerin helps keep bouncy, moisturized curls but in the wrong conditions breakage and frizz can occur. The "ideal" conditions have a lot to do with the dew point. Read more about Dew Point? 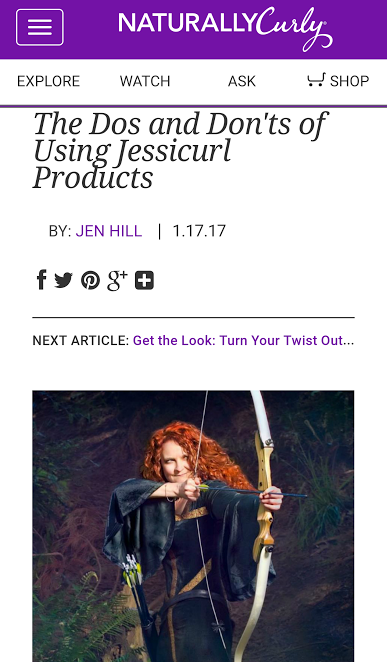 Take a peak into the creation of Jessicurl! 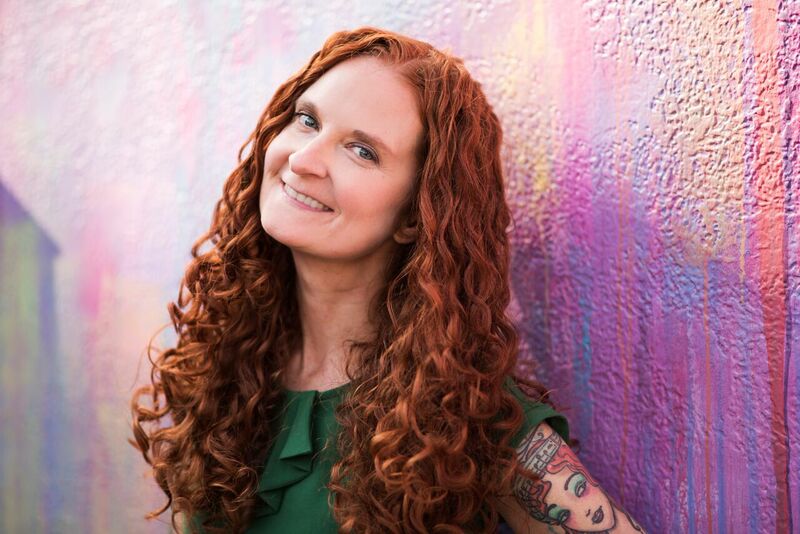 Head over to Invest in Women Intiative's website (https://www.investinwomeninitiative.org/blog/2018/4/2/wild-curls-lead-to...) for an inspirational story of how Jessicurl came to be. Read more about Wild Curls Inspire Wild Success! Awesome News About The Deep Conditioning Treatment Packaging! Read more about Awesome News About The Deep Conditioning Treatment Packaging! 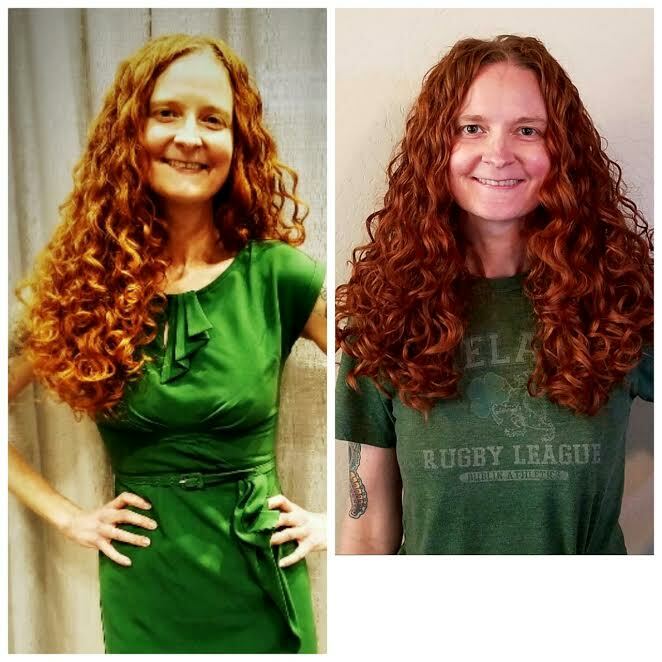 Please vote for Jessicurl in NaturallyCurly.com's annual Best Of The Best awards! It's that time of year again. 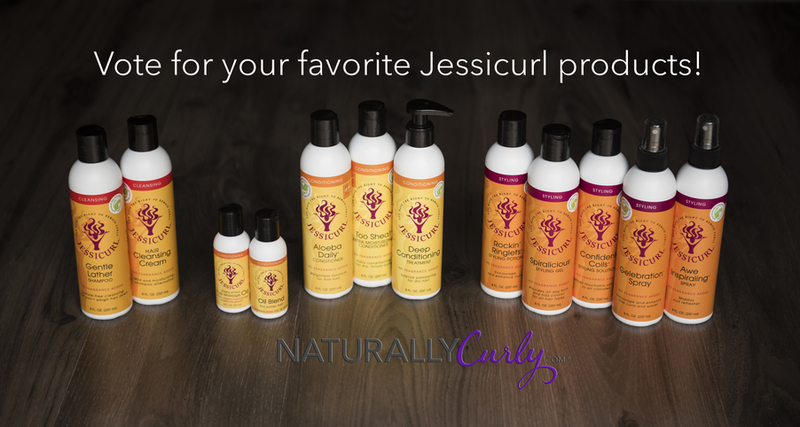 :) We know from your feedback that you love Jessicurl products (and we thank you! ), and we'd love if you'd tell the world through NaturallyCurly.com's annual Best Of The Best awards. It's like the curly hair Oscars and we've been thrilled and honored to win in various categories every year since the awards were created. The best part for you is that everyone who completes the survey gets a discount code for 20% at NaturallyCurly.com! You can fill out the survey here. Please note that in order for your entry to qualify, the specific product must be listed. For instance, "Jessicurl Hair Cleansing Cream" rather than simply "Jessicurl." The survey closes on Monday August 14th, 11:59pm CT. Thank you in advance for taking the time to tell the world how much you love Jessicurl! Have a curly day! Read more about Please vote for Jessicurl in NaturallyCurly.com's annual Best Of The Best awards! Real Talk About Hair Loss And Thinning Hair. Millions of women for virtually millions of reasons find themselves with thinning or shedding hair. We might as well get real and talk about it, eh? I have some real talk and practical ideas on what to do when it happens to you. Because it's happening to me too. Read more about Real Talk About Hair Loss And Thinning Hair. Dear Curlies, The Wait Is Over! Spiralicious Is BACK! 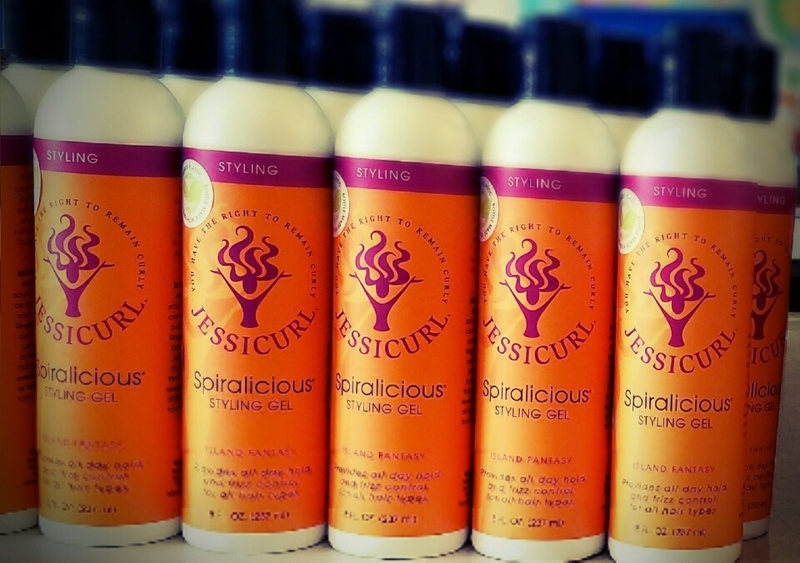 Spiralicious is back in stock and ready for your order at www.jessicurl.com! We are also ready to re-stock your favorite retailers, and in fact many of them have product either on the way to their stores or in-store already. 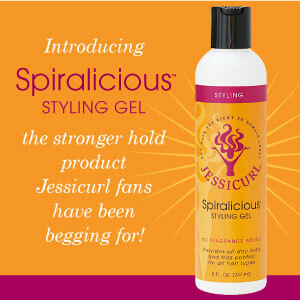 As our way of saying that we are sorry and thanks for your patience you have TWO WEEKS to use this coupon, GEL, at checkout on our site to receive free shipping on any order with at least one 2 ounce bottle of any style of Spiralicious Styling Gel on it as long as we are shipping to a U.S. address. We are making gel as fast as we can but if the response is higher than normal, there is a chance that your order may ship a bit later than the normal wait time of the next business day. We will work hard to ship your order on the next business day after you order it but it's possible that we may be a little behind. Thank you again for your patience while we worked through this issue. Have a curly day! Read more about Spiralicious is BACK! !